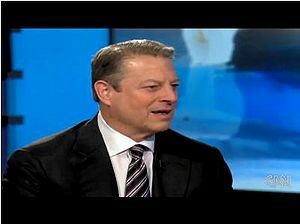 Al Gore on CNN's American Morning, December 9, 2009, in which he stated that snow is melting from the polar icecaps and glaciers at a rapid rate, and that the "global warming deniers" manipulated the emails from CRU out of context. The Climategate scandal erupted on November 19, 2009, when a collection of email messages, data files and data processing programs were leaked from the University of East Anglia Climatic Research Unit (CRU) located in the UK, revealing scientific fraud and data manipulation by scientists concerning the Global Warming Theory. The scandal that the suffix –gate implies is the state of climate science over the past decade, revealed by more than a thousand emails, documents, and computer code sets between various prominent scientists. The released information is evidence of deceit by climate scientists, which was kept a secret or hidden from the public until the data was leaked from the CRU. The CRU's apparent obstruction of freedom-of-information requests, as revealed by the leaks, was only the tip of the iceberg. Climategate is said to have revealed the biggest scientific hoax in world history as the worst scandal of this generation. The Climategate emails and climate data became the subject of intense debate, calling to question assumptions on anthropogenic (man-made) global warming. The legitimacy of climate science, and the charges leveled by the CRU and the Intergovernmental Panel on Climate Change (IPCC) which claim humans cause climate change, was severely shaken by Climategate. Evidence revealed told the truth about man-made global warming: it's a fraud. Despite the significance of the scandal and its impact on the theory suggesting humans cause climate change, in a profoundly bizarre situation the Mainstream media attempted to bury the Climategate story. At the same time, liberal Wikipedia quickly censored Climategate and referred to it as an illegal "incident," as the work of computer hackers stealing data — contrary to Freedom of Information Act requests. In spite of the liberal media's bias attempt to hide the scandal, news of Climategate quickly spread because many other more notable sources of media covered the story. Commentators and others in the media covered news on Climategate, many of which outlined important takeaways about specific information valuable to the public. An example of a poorly-placed, poorly-maintained satellite temperature sensor and MMTS unit, placed next to a private home's air conditioning unit, Detroit Lakes, Minnesota. The placement of thousands of these units near man-made heat sources had the effect of skewing temperature readings. Example of an MMTS unit, placed directly above road pavement at the University of Arizona, Tucson. A desert environment, summer temperatures in Tucson are in excess of 100o; the sun can and does heat the pavement at considerably higher temperatures. Climate science was troubled after news reports of the Climategate scandal went public, after the release of a thousand email messages and a collection of data and data processing programs from the University of East Anglia Climatic Research Unit. The trustworthiness of the scientific community's global warming data pool was called into question. On November 29, with the publication of a report by The Sunday Times of London, it was reported that scientists at the University of East Anglia’s Climatic Research Unit in the United Kingdom confessed to throwing out most of the raw temperature data on which the theory of global warming is founded. The admittance occurred following requests for the data under Freedom of Information legislation. Michelle Malkin detailed one of the many problems that will occur as a result of such data loss at the University of East Anglia, the research institution at the center of Climategate. She reported, "It means that other academics are not able to check basic calculations said to show a long-term rise in temperature over the past 150 years." The Climategate scandal revealed that corruption of climate science is a worldwide problem and is not confined to just Britain’s CRU climate research centre. For instance, it was discovered that the reported warming trend in New Zealand over the past 156 years (from 1853 to 2008) was created by man-made adjustments of the temperature data. The centerpiece of New Zealand's National Institute of Water & Atmospheric research temperature claims were proven false. This data contributes to global temperature statistics and the climate science reports by the IPCC. The false data was used by the Obama administration as a reason for remaining insistently stubborn on participating in the climate conference in Copenhagen in 2009-10. The CRU scientists deliberately falsified data, and then used the results of the falsification to obtain additional research funding. This is criminal fraud under English Law. Because of the worldwide fraud revealed from Climategate and the burden it caused to the global scientific community, on December 1, 2009, Phil Jones, the director of the embattled Climatic Research Unit in the United Kingdom stepped down pending investigations into allegations that he overstated the case for man-made climate change. On January 28, 2010, from the London Times, inquiry over the Climategate emails found Phil Jones broke the law by refusing to hand over its raw data for public scrutiny. Michael Mann was investigated by Pennsylvania State University. Climategate fraud also extended to the United States, and the Competitive Enterprise Institute (CEI) had their attorneys file three Notices of Intent to File Suit against NASA. Chris Horner, representing CEI, said the NASA Goddard Institute for Space Studies failed to comply with the Freedom of Information Act for over three years. The Climategate emails, originating from the Climatic Research Unit at the University of East Anglia, showed how all the data centers worldwide, including NOAA and NASA, conspired in the manipulation of global temperature records to suggest that temperatures in the 20th century rose faster than they actually did. NASA's two primary climate centers, the National Climatic Data Center (NCDC) in Asheville, N.C., and the Goddard Institute for Space Studies at Columbia University in New York City, "systematically eliminated 75% of the world's stations with a clear bias toward removing higher-latitude, high-altitude and rural locations." The number of actual weather stations used to calculate average global temperatures was reduced from about 6,000 in the 1970s to about 1,500 today. The number of reporting stations in Canada dropped from 600 to 35. Stations in places such as the Andes and Bolivia were revealed to have virtually vanished, and temperatures from these areas became "determined by interpolation from stations hundreds of miles away on the coast or in the Amazon." Average temperatures were extrapolated from readings in other cities across the world. This selectivity of locations made NASA's data and climate change conclusions skewed to advance the global warming agenda rather than create data based on scientific facts. The Climategate emails showed that climatologists had conspired to suppress research that challenged the global warming orthodoxy. The CRU scientists, from the Climategate emails, on several occasions discussed methods of subverting the scientific peer review process to ensure that skeptical papers had no access to publication. As scientific data began showing a downtrend after 2001, the Climategate emails show a criminal intent to create fraudulent data, and defraud the public of massive amounts of money with a cap and trade scheme as part of a Global Warming movement. Climate scientists at the CRU worked to circumvent the Freedom of Information Act process in the UK. The Freedom of Information Act explicitly forbids deletion of any material subject to a FOIA request. The penalty for such a criminal act is a fine of up to £5,000. Presumably being found guilty of such an act, or even suggesting it, would also bring about significant disciplinary procedures at any reputable university. The CBC’s Rex Murphy discussed Climategate in an editorial on December 3, 2009. Iain Murray at Pajamas Media pointed out three takeaways that people must know about Climategate. First, the scientists discuss manipulating data to get their preferred results. The most prominently featured scientists are paleoclimatologists, who reconstruct historical temperatures and who were responsible for a series of reconstructions that seemed to show a sharp rise in temperatures well above historical variation in recent decades. Secondly, scientists on several occasions discussed methods of subverting the scientific peer review process to ensure that skeptical papers had no access to publication. In 2003, Tom Wigley of the University Corporation for Atmospheric Research in Boulder, Colorado, complained that paleoclimatologist Hans von Storch was responsible for “the publication of crap science ‘in order to stimulate debate’” and that they “must get rid of von Storch” (1051190249) as an editor of the journal Climate Research (he indeed subsequently resigned). Finally, the scientists worked to circumvent the Freedom of Information process of the United Kingdom. 1. The source code that actually printed the graph was commented out and, therefore, is not valid proof. 2. No proof exists that shows this code was used in publishing results. 3. Interpolation is a normal part of dealing with large data sets, this is no different. 4. You need the raw climate data to prove that foul play occurred. After further analysis, his first concern pointed out that the source code that printed the graph was commented out and thus is not valid proof. On the second concern, Greiner clarified that, "Enough proof exists that the CRU had both the means and intent to intentionally falsify data. This means that all of their research results cannot be trusted until they are verified. Period." The third concern as pointed out by Greiner is not about the fact that the CRU researchers used interpolation; the issue is the weight of the "valadj" array with respect to the raw data. Greiner said, "valadj simply introduces too large of an influence to the original data to do anything productive with it." Fourthly, Greiner said that raw climate data is needed to prove that foul play has actually occurred. He said, "It simply doesn’t matter if the raw climate data are correct or not to demonstrate the extreme bias the valadj array forces on the raw data. So, the raw data could actually be temperature data or corporate sales figures, the result is the same; a severe manipulation of data." Climategate has jeopardized the integrity of worldwide scientific data on climate change. There are two objections that question the validity of temperature data from the IPCC report released in 2007, one of which Climategate does not effect. The earth has generally been warming since the Little Ice Age, around AD 1650 (Akasofu, 2007). The second objection has questioned the integrity of the data, as pointed out from Watts Up With That? in an article written by Willis Eschenbach. There are three main global temperature datasets, as clarified by Eschenbach. One is at the CRU, Climatic Research Unit of the University of East Anglia. Another one is at NOAA (GHCN), the Global Historical Climate Network. The final one is at NASA (GISS), the Goddard Institute for Space Studies. The three groups take raw data, and they "homogenize" it to remove temperature discrepancies that occur when a station is moved to a warmer or colder location. One of the things that was revealed in the released CRU emails is that the CRU basically uses the Global Historical Climate Network (GHCN) dataset for its raw data. This raw data is downloaded from GISS, but GISS uses the GHCN raw data as the starting point for their analysis. Both GISS and CRU get almost all of their raw data from GHCN. But the IPCC uses the "adjusted" data; GHCN adjusts the data to remove what it calls "inhomogeneities." At Darwin Airport there are five separate individual station records that are combined to make up the final Darwin record. In 1941, a station was moved to Darwin Airport. The GHCN then removed the inhomogeneities to adjust the data. Of the five raw datasets at Darwin, the GHCN discarded two. The three remaining records were first homogenized and then averaged to give the "GHCN Adjusted" temperature record for Darwin. Before the GHCN homogenized the data, temperatures in Darwin were falling at 0.7 Celsius per century. After the homogenization, they were warming at 1.2 Celsius per century. Willis Eschenbach investigated it and started with the earliest record, "Station Zero" at Darwin. The five different station records (raw data) covering Darwin from 1941 on all agreed almost exactly. What Eschenbach found was that there is "indisputable evidence that the 'homogenized' data has been changed to fit someone’s preconceptions about whether the earth is warming." The blatantly bogus GHCN adjustment for this one station shows that at least one part of the data is bad at Darwin Zero. Separate from GHCN, GISS takes the raw temperature data and does their own adjustments. However, GISS verified that their adjusted, homogenized data is the same as GHCN. The data is questionable because the Global Historical Climatology Network (GHCN) manipulates the data prior to its use by others; this process was described as homogenizing. The CRU apparently "lost" their data. Scientists at the CRU, who produce global annual average temperatures, select stations that create the results they want, and then adjust the data again for fraudulent purposes. Climategate revealed a fact that, until all of the station "adjustments" are examined, adjustments of CRU, GHCN, and GISS cannot be trusted if using homogenized numbers. Michael Mann's hockey stick graph hid the real declining temperatures and instead showed a warming trend. Mann's graph portrayed temperatures as steadily declining since medieval times and then sharply rising in the last century and a half. Notably, his reconstruction fueled claims that 1998 and following years had the highest temperatures in 1,000 years. Once it became publicly known that man-made global warming is a hoax, as a direct result of the e-mail discussing a "trick" for adding data to each temperature series for the last 20 years, Climategate motivated the making of a video called, "Hide The Decline." Corrections To The Mann et. al. (1998) Proxy Data Base And Northern Hemispheric Average Temperature Series by Stephen McIntyre and Ross McKitrick, Energy & Enviornment volume 14, 2003. The Decay of the Hockey Stick by Von Storch published on the journal Nature's blog, May 3, 2007. A Global Warming Bombshell by Richard A. Muller, Technology Review , Oct. 2004; calls into question famous graph by Michael Mann. Reconstructing Past Climate from Noisy Data by Hans von Storch, Eduardo Zorita, Julie M. Jones, Yegor Dimitriev, Fidel González-Rouco, Simon F. B. Tett, Science magazine, 22 October 2004. The ‘hockey stick’ and the 1990s: a statistical perspective on reconstructing hemispheric temperatures by Bo Li, Douglas W. Nychka and Casper M. Ammann, Institute for Mathmatics Applied to Geosciences; (Manuscript received 22 March 2007; in final form 28 June 2007). Ice Core Data Show No Carbon Dioxide Increase by Zbigniew Jaworowski, Ph.D., Spring 1997; this article examines one of the main pillars of the global warming thesis. The Hockey Stick vs. Ice Core Data, the “unprecedented” temperatures of the present day when put in perspective of geologic time. Hi-Definition: Historical perspective slide show (.GIF), “unprecedented” global warming in the context of scale. Low-res: Historical perspective slide show (.GIF), “unprecedented” global warming in the context of scale. Al Gore's "schlockumentary," An Inconvenient Truth, is perhaps the earliest known Climategate fraud and most widely known global warming hoax. The film was designed to promote fear of global warming with false claims, junk science and digitally enhanced lies, proclaiming the end of the world. During Al Gore's promotional efforts for his film and to raise alarm on the effects of global warming, he boldly predicted we have ten years to doom. At the Sundance Film Festival in Park City, Utah, Larry David commented on Gore's promotional efforts to raise awareness about his schlockumentary and said, "You know, Al is a funny guy, but he's also a very serious guy who believes humans may have only 10 years left to save the planet from turning into a total frying pan." An Inconvenient Truth inspired fear using junk science; Gore spread alarmist propaganda and claimed burning fossil fuels such as coal, gas and oil have dramatically increased the Earth's temperatures. Scientific inaccuracies in the film were enhanced with Hollywood special effects, as a deceptive tactic, to spread fear of doom on his one-sided account of the anthropogenic global warming theory. Most notably, Al Gore created a scene in his movie that shows the Antarctic ice shelf breaking up and virtually disintegrating, supposedly providing visual evidence to back up his claim that glaciers are melting. The problem is that it wasn't real ice melting. It was styrofoam. ABC News reported Al Gore also took footage of digitally enhanced melting ice from the fictional movie, The Day After Tomorrow, and then used it in his schlockumentary. The real truth behind this hoax is ideology, motivated by money and power. The Intergovernmental Panel on Climate Change said in its 2007 benchmark report that even a slight change in rainfall could see swathes of the rain forest rapidly replaced by savanna grassland. However, the aftermath of Climategate forced the United Nations climate watchdog to admit to intentionally publishing false claims; the IPCC claims about melting ice in the Alps, the Andes, and in Africa did not come from peer reviewed scientific literature—but from Climbing Magazine, and from a student dissertation—written by a climate change activist who was studying for a degree in Geography. The IPCC claims that global warming might wipe out 40% of the Amazon rainforest was based on an unsubstantiated claim by green campaigners who had little scientific expertise. Greenpeace leader Gerd Leipold admitted that his organization issued misleading statements about man-made global warming, and he said the organization exaggerated information when it claimed that Arctic ice would disappear completely by 2030. Despite the admission that a panel report warning Himalayan glaciers could be gone by 2035 was hundreds of years off, and regardless of the fraud, deceit and lies the Greenpeace organization spread about global warming, Gerd Leipold said he would not resign. In 2010, as the East Coast of the United States was hammered by strong winter storms of snow and ice, President Obama claimed this as further evidence of global warming. The president of the United States ignored facts to push a political agenda. Obama lied about global warming when he said it will cause some places to "end up being a little bit cooler," due to man-made climate change. For a more detailed treatment, see Global warming. Scientists have cast doubt on the IPCC's claim that global temperatures are rising because of human pollution. Professor Phil Jones admitted during an interview with the BBC his record keeping is "not as good as it should be," and that he "did not do a thorough job" of keeping track of his own records. Colleagues say that the reason Phil Jones refused Freedom of Information requests is that he may have actually lost the relevant papers. The data is crucial to the famous hockey stick graph used by climate change advocates to support the theory. Professor Jones also said that there is little difference between global warming rates in the 1990s and in two previous periods since 1860, leaving open the possibility that the world was warmer in medieval times than now – that the Medieval Warm Period from 800 to 1300 AD was warmer than the present period, and it could have encompassed the entire globe. Phil Jones also accepted a fact that from 1995 to 2010, for the past 15 years, there has been no statistically significant warming. He conceded the possibility suggesting global warming may not be a man-made phenomenon. For a more detailed treatment, see ClimateGate emails. The Climategate emails discussed methods of subverting the scientific peer review process to ensure dissenting papers had no access to publication. An email from Phil Jones to Michael Mann said, "... And don't leave stuff lying around on ftp sites — you never know who is trawling them. The two MMs have been after the CRU station data for years. If they ever hear there is a Freedom of Information Act now in the UK, I think I'll delete the file rather than send it to anyone." The Climategate emails show that climate scientists may have committed a felony using government funded money, deliberately falsified data then used the results of the falsification to obtain additional research funding. The collection of data and data processing programs, code from the CRU shows proof that valid temperature station readings were taken and skewed to fabricate the results the "scientists" wanted to believe, not what actually occurred. Another email, in which Michael Mann wrote of his "Nature trick of adding in the real temps to each series […] to hide the decline," correlated with evidence of intent to skew climate data. Further analysis of the word "trick" and how it was used in the Climategate emails from the CRU provided interesting feedback. It showed that CRU did indeed truncate tree ring data, so that the real decline in global temperature is not shown in the IPCC report, as referenced by Steve McIntyre. McIntyre brought this to attention as an expert reviewer in the IPCC process in 2005, but at the time of inquiry his dissent was stifled and the discussion was never presented to external peer reviewers. After a second file search was executed to double check how many of the Climategate emails contained some permutation of the letters "t r i c k," it revealed 29 emails out of the 1079 emails in the FOIA2009.zip file. Only one instance was found where Dr. Jones used the word "trick" in reference to a procedure on data. There are other uses and variations of the word "trick" in other emails, but only one instance attributed to Jones where he refers to this data issue. As Dr. Jones put it: The word ‘trick’ was used in the lone instance colloquially as in a clever thing to do (e.g. "that’ll do the trick"). But it was questioned that one would expect to see it in general use by Dr. Jones in other emails if it was indeed a colloquialism. In the thousand plus Climategate emails, there’s no other use of the word "trick" by Dr. Jones related to data truncation or otherwise, though there are other colloquial uses of the word by other authors. Penn State investigated Michael Mann for his role in Climategate. Barack Obama is "doubling down" on his commitment to combat anthropogenic global warming; the Obama administration dumped more U.S. taxpayer dollars into a global $100 billion European Union climate change fund. Liberal Party members within Australia’s parliament resigned their portfolios rather than voted for a cap and trade scheme based on flawed science. Recent scandals involving the IPCC have undercut its creditability to such an extent that the nation of India looked for an independent assessment. Saudi Arabia called for an independent investigation into Climategate. Where exactly 42 weather monitoring stations in China exist, and how it affects an important set of data on global warming, has led to accusations of scientific fraud and may yet result in a significant revision of a scientific paper that is still cited by the UN's top climate science body. The UK's CRU director Phil Jones stepped down. Russia admitted the CRU emails were uploaded on a Siberian Internet server and denied involved, but "confirmed" that UK climate scientists manipulated data to exaggerate global warming. Sarah Palin called for President Obama to skip Copenhagen, the climate summit in Denmark, because of the information Climategate exposed. She commented on Facebook that the president should reconsider his trip until the e-mails can be investigated, "Boycotting Copenhagen while this scandal is thoroughly investigated would send a strong message that the United States government will not be a party to fraudulent scientific practices." Instead, the White House attempted to downplay the controversial leaked e-mails of climate scientists. President Obama announced that he was "doubling down" on his commitment to the worldwide environmental agenda, pushing forward with a cap and trade scheme that is based on flawed science, and hoping to secure a "meaningful" agreement. The President made it clear that he will invest more energy and taxpayer dollars to help advance the global warming hoax. Originally, the President was supposed to attend the U.N. Climate Conference in Copenhagen for the beginning of the conference, "bless the occasion and leave," said Roger Simon of Pajamas Media. After Climategate became known, Pajamas Media reported that President Obama, "[S]witched his itinerary to be there at the end of the two weeks in order to give his blessing and impetus to the decision itself." The ranking Republican on the House Select Committee for Energy Independence and Global Warming, Congressman James Sensenbrenner, attended the Copenhagen conference on climate change to inform world leaders that despite any promises made by President Obama, no new laws will be passed in the United States until the "scientific fascism" ends. Sensenbrenner demanded that researchers who authored the Climategate e-mails and documents that demonstrate climate change data were manipulated should not be allowed to participate in the U.N. panel on climate change. Sensenbrenner spoke during a press conference after learning of the Climategate scandal. In a case of see nothing, hear nothing, say nothing, the Obama administration showed commitment to climate change legislation and at the same time dismissive of Climategate. Though evidence revealed from the e-mail messages from the CRU shows that researchers manipulated data, suppressed data and stifled dissent, John Holdren, Obama's science czar who is directly involved in the Climategate scandal stated boldly, "The science is proper and this is about a small fraction of research on the issue." The reality is that this small 'fraction of research' — the theory which is the foundation of anthropogenic global warming — the data used by CRU scientists, it is proven fraudulent. The theory which used to hold human beings responsible: it is nothing more than a Global warming scam, according to Jim O'Neill from the Canada Free Press. The scientists at the CRU, from the evidence found in their e-mails and documents, show a criminal intent to defraud the public of massive amounts of money, and at the same time advance an ideological Leftist agenda. When House Republicans asked for a hearing or investigation into the Climategate scandal, independent from the Penn State University which is looking into the Climategate emails by its own researcher, Michael Mann, calls for further investigation were criticized and then rejected by Democrats. U.S. Representative James Sensenbrenner (R-Wisconsin) said, "These e-mails show a pattern of suppression, manipulation and secrecy that was inspired by ideology, condescension and profit." Democrats harbored ill will against the facts and continued to theorize that the earth is warming, insisting that the fraudulent data "[does] nothing to undermine the very strong scientific consensus," which showed a warming trend and claimed it is largely a result of human activity. The top Democrat on the Senate Environment and Public Works Committee, Barbara Boxer, a global warming alarmist, said of the scandal, "You call it 'Climategate'; I call it 'E-mail-theft-gate." Rather than investigate the fraud and manipulation of scientific data that was used by climate science researchers, Boxer hoped to get her hands on the so-called 'real' criminals, those who released e-mails and data to the public. While U.S. Democratic politicians downplayed the Climategate controversy, and despite the U.N.'s Intergovernmental Panel on Climate Change scoffing at Climategate by suggesting it provided no basis for questioning the science behind global warming, global reactions from other countries around the world took notice of the scandal. Saudi Arabia called for an independent investigation into Climategate, warning that the scandal over stolen e-mails threatened to undermine the global-warming negotiations. "The level of confidence is certainty shaken," said the Saudi Arabian negotiator. "We believe this scandal — or what has been referred to as the ‘Climategate’ scandal — we think this is definitely going to affect the nature of what could be trusted in our deliberations." Australia had planned on setting an example to lead in the fight on climate change, to become one of the first countries to install a cap and trade system. However, Liberal Party members within Australia’s parliament realized that cap and trade is based on flawed science, and resigned their portfolios rather than voting for an "emissions trading scheme". According to a report from the Hindustan Times, Environment Minister Jairam Ramesh believes his country cannot depend solely on reports from the U.N. Intergovernmental Panel on Climate Change (IPCC). India plans to create its own panel to do an independent analysis of climate change science. The Climategate media coverage refers to the journalistic methods used by the Mainstream media to deceive the public from learning more specific details about the fraudulent climate data. Climategate media coverage of the scandal is a media-focused overview from the most notable discussions covering Climategate: the revealed data, e-mails and manipulated code sets. As details emerged from the Climategate scandal, Climatic Research Unit scientists at the University of East Anglia were exposed. Despite the significance of the scandal and its impact on climate science, the leftist media ignored it, and then focused on pushing forward with the global warming hoax. Coverage of Climategate showed just how bias the liberal media has become in order to advance an environmental agenda. In the wake of the Climategate scandal, a truly bizarre situation happened; the mainstream media stories about global warming pretended the uncovered documents never happened. This worldwide Climategate cover-up also occurred before the public had learned about Climategate, too. The U.K. Daily Mail pointed out that, a month prior to November 19, 2009, "The BBC received copies of some of the CRU emails more than a month ago, but did nothing about them, sitting on explosive evidence of fraud." It was later revealed that the BBC had previously invested a lot of money in carbon offset programs, so the media organization was dependent on the global warming hoax being perceived as truth. Ongoing coverage of the Climategate scandal also verified NASA and the state-run media knew about temperature data issues nearly three years ago; for example, USA Today received information about these issues but refused to report on it. USA Today and BBC News shirked their journalistic duties to push global warming in spite of evidence that the earth has not been significantly warming since 1995. As Climategate was totally ignored by most TV news outlets, Fox News appeared to be the only national news media in America interested in the growing scandal. Perhaps the MSM felt that by ignoring Climategate entirely that it would have just gone away. However, just as the case was during the Tea Party Movement, notably during the 2009 Tax Day Tea Party, bloggers and the readers of the global warming stories kept bringing up the inconvenient truth of Climategate by mentioning the scandal "over and over and over again." On December 8, 2009, the second day of Copenhagen, news from the UK Telegraph headlined a Global warming hoax, "Starving Polar Bears Turn to Cannibalism." Rush Limbaugh blasted the Global Warming hoax and commented, "None of this is true" (Dyck, M.G., 2007). He rebuked the false claims about polar bears and at the same time pointed out the continuation of fraudulent stories from the media despite Climategate; Limbaugh revealed another hoax blaming a natural event on global warming. Fourteen days after the story broke worldwide, the Climategate scandal had been mentioned by ABC, CBS and NBC a total of zero times. Because the story affected Cap and trade legislation, the White House, in their daily collusion with liberal media sources, may have told news channels to bury the story. The Mainstream media began to show consistency in their censorship practices, so much so that Glenn Beck cited NewsBusters to "Demonstrate that much as in [the mainstream media's] boycott of the ACORN scandal and green jobs czar Van Jones's peculiar associations, the television press are once again hiding important information from the public hoping it will all just go away." ClimateGate... What? ?, Glenn Beck on ClimateGate censorship. ClimateGate, Glenn Beck on ClimateGate scandal. The liberal Wikipedia has cited various references to contend against the facts uncovered with Climategate and has claimed that the e-mail files were illegally stolen by computer hackers, despite repeated requests for the data files under the FOIA. Though unreported by the MSM and at the same time censored by liberal Wikipedia, there is strong evidence to suggest the data was released by a fellow employee, a "whistle blower" within the Climatic Research Unit. It was reported that, despite Climategate related pages being the most-read articles of the UK's Telegraph entire online operation, mysteriously when attempting to search using Google – it didn't feature links related to Climategate. James Delingpole from the Telegraph noted, "Instead, the top-featured item is a blogger pushing Al Gore’s AGW agenda. Perhaps there’s nothing sinister in this. Perhaps some Google-savvy reader can enlighten me." Google.com has been accused before of interfering with its own search algorithms in order to interfere with searches for material deemed "not politically correct." According to NewsBusters, Al Gore has done some "advising" of Google’s search quality in the past. There is some history between Google and Al Gore that has some bearing on the current situation. In the case of "Climategate," Mr. Gore's ability to continue his current speaking engagements might be hampered. Thus, there could well be a motive for him doing some "advising" in this case. A phone call might be all it took. “ A new batch of 5,000 emails among scientists central to the assertion that humans are causing a global warming crisis were anonymously released to the public yesterday, igniting a new firestorm of controversy nearly two years to the day after similar emails ignited the Climategate scandal. Three themes are emerging from the newly released emails: (1) prominent scientists central to the global warming debate are taking measures to conceal rather than disseminate underlying data and discussions; (2) these scientists view global warming as a political “cause” rather than a balanced scientific inquiry and (3) many of these scientists frankly admit to each other that much of the science is weak and dependent on deliberate manipulation of facts and data. Alarmist scientists were caught tampering with raw (unadjusted) data to fake a rise in sea level, according to two Australian scientists. The scientists exposed how record gatekeepers at the global databank Permanent Service for Mean Sea Level (PSMSL), at the National Oceanography Centre in Liverpool, England, "adjusted" the sea level records from three gauges in the Indian Ocean to fabricate a nonexistent "sharp and dramatic" rise. The authors described the measurements from three gauges in the Indian Ocean as "highly questionable" and "suspicious." They revealed how, according to No Tricks Zone, "PSMSL data-adjusters make it appear that stable sea levels [...] look like they are nonetheless rising at an accelerated pace." Hide The Decline, Censoring The Decrease in Global Temperatures. "Hide the Decline II", the No Cap and Trade Coalition posted a new version because Michael Mann threatened to sue Minnesotans For Global Warming for creating the YouTube video 'Hide the Decline'. The Stroke Of A Pen, Lord Christopher Monckton closing statement at the Minnesota Free Market Institute. 'The Twelve Days of Global Warming', satire starring Al Gore. It's A Climategate Christmas, satire on Global warming post-ClimateGate. Imagine There's No Global Warming, satire of John Lennon's song "Imagine" turned politically incorrect. ↑ Breaking News Story: CRU has apparently been hacked – hundreds of files released, Watts Up With That?, November 19, 2009. ↑ 2.0 2.1 Iain Murray. Three Things You Absolutely Must Know About Climategate, Pajamas Media, November 24, 2009. ↑ The global-warming scandal is bigger than one email leak. The Tip of the Climategate Iceberg, Wall Street Journal, December 08, 2009. ↑ Christopher Booker. Climate change: this is the worst scientific scandal of our generation, Telegraph.co.uk, November 28, 2009. ↑ Glenn Beck. The Biggest Scam In History (Video), The Glenn Beck Program, December 01, 2009. ↑ James Delingpole. Climategate: the final nail in the coffin of 'Anthropogenic Global Warming'?, Telegraph.co.uk, November 20, 2009. ↑ Rush Limbaugh. Universe of Lies: Big Warmers Try to Whitewash ClimateGate Fraud, RushLimbaugh.com, November 30, 2009. ↑ Marc Sheppard. CRU's Source Code: Climategate Uncovered, American Thinker, November 25, 2009. ↑ Steve McIntyre. Yamal: A "Divergence" Problem, climateaudit.org, September 27, 2009. ↑ Andrew Orlowski. One Of The Scandals In The CRU Emails, Sweetness & Light, September 29, 2009. ↑ 11.0 11.1 Allie Duzett. Media Ignore Climate Science Scandal, Accuracy In Media, November 23, 2009. ↑ Larrey Anderson. Revenge of the Computer Nerds, American Thinker, December 09, 2009. ↑ Christopher C. Horner. Media Missing the Plot on ‘Climate Gate’: It’s the Fraud, Stupid!, BigGovernment.com, November 23, 2009. ↑ Gene J. Koprowski. Global Warming Scandal Makes Scientific Progress More Difficult, Experts Say, Fox News, December 01, 2009. ↑ Michelle Malkin. Document-dump-a-palooza, Michelle Malkin, November 30, 2009. ↑ P.J. Gladnick. Climategate Scandal Spreads to New Zealand as MSM Continues Ostrich Act, NewsBusters, November 26, 2009. ↑ The revelations were published on November 25, 2009, from The Climate Science Coalition of NZ: PDF A paper collated by Richard Treadgold, of the Climate Conversation Group, from a combined research project undertaken by members of the Climate Conversation Group and the New Zealand Climate Science Coalition. ↑ Facing Scandal, Head of Climate Research Lab to Temporarily Step Down, Fox News, December 02, 2009. ↑ Ben Webster, Environment Editor, and Jonathan Leake. Scientists in stolen e-mail scandal hid climate data, The London Times, January 28, 2010. ↑ Penn St. Investigating Scientist Over Research Misconduct, FOXNews.com, Updated: February 03, 2010. ↑ Tony Pann. Climategate: CEI to sue NASA Goddard for Climate Change fraud, Baltimore Weather Examiner, November 25, 2009. ↑ Joseph D'Aleo. Climategate: NOAA and NASA Complicit in Data Manipulation, Pajamas Media, January 29, 2010. ↑ A U.S. ClimateGate?, Investors.com, January 22, 2010. ↑ NP Editor. Steve Janke: More unsettling science in the global warming camp, National Post, January 29, 2010. ↑ “You wouldn’t accept that at a grade 9 science fair…” – CBC finds a moment of clarity on Climategate, WUWT, December 03, 2009. ↑ Clive Crook, senior editor of The Atlantic Monthly and former deputy editor of The Economist: "The closed-mindedness of these supposed men of science, their willingness to go to any lengths to defend a preconceived message, is surprising even to me. The stink of intellectual corruption is overpowering. And this scandal is not at the margins of the politicized Intergovernmental Panel on Climate Change process. It goes to the core of that process." Climategate fallout, National Post, December 03, 2009. ↑ 29.0 29.1 Dr. Tim Ball. The New Big Lie: Climategate Emails Are Not Significant, Canada Free Press, December 14, 2009. 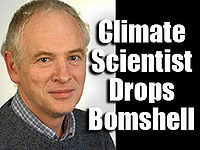 ↑ Climate Skeptics See 'Smoking Gun' in Researchers' Leaked E-Mails, FOXNews.com, November 21, 2009. ↑ Marc Sheppard. The Evidence of Climate Fraud, American Thinker, November 21, 2009. ↑ Noel Sheppard. ClimateGate Smoking Gun Found, American Thinker Does Media's Job, NewsBusters, November 25, 2009. ↑ 33.0 33.1 Robert Greiner. The Proof Behind the CRU Climategate Debacle, Cube Antics, December 03, 2009. ↑ 34.0 34.1 Robert Greiner. Climategate Code Analysis Part 2, Cube Antics, December 05, 2009. ↑ 35.0 35.1 Willis Eschenbach. The Smoking Gun At Darwin Zero, Watts Up With That?, December 08, 2009. ↑ On December 11, 2009, the Economist published an unsigned article attacking the work by Willis Eschenbach. This open letter is Eschenbach's reply. Willis: Reply to the Economist, WUWT, December 12, 2009. ↑ Is the Earth still recovering from the “Little Ice Age”? (2007) A possible cause of global warming PDF by Syun-Ichi Akasofu, International Arctic Research Center, University of Alaska Fairbanks. ↑ Search - GHCN, climate-gate.org, Climategate Document Database. ↑ GISS Surface Temperature Analysis, data.giss.nasa.gov. ↑ GISS “raw” station data – before and after, WUWT, December 11, 2009. ↑ Marc Sheppard. UN Climate Reports: They Lie, American Thinker, October 05, 2009. ↑ Historical video perspective: global warming in the context of scale, WUWT, December 12, 2009. ↑ Derek Erwin. Video of the Year: 'Hide The Decline' - Climategate, A 1-In-100 Blogger, November 27, 2009. ↑ Rush Limbaugh. Algore: We Have Ten Years Left Before Earth Cooks, RushLimbaugh.com, January 27, 2006. ↑ Al Gore Fakes It, Free Republic, April 23, 2008. ↑ Steve Rowitt, Th.M., Ph.D. Global Warming: The Biggest Hoax of the 21st Century, creationstudies.org, (2010). ↑ Cliff Mason. War On Climate Change Over—And It Won, CNBC, December 19, 2008. ↑ Glenn Beck. Exclusive: Yet another climategate?, The Glenn Beck Program, February 1, 2010. ↑ Jonathan Leake. UN climate panel shamed by bogus rainforest claim, The Sunday Times, January 31, 2010. ↑ Richard Gray. UN climate change panel based claims on student dissertation and magazine article, Telegraph.co.uk, January 30, 2010. ↑ Paul Joseph Watson. Greenpeace Leader Admits Organization Put Out Fake Global Warming Data, Info Wars, August 20, 2009. ↑ U.N. Climate Change Expert Cites More Errors in Report, Fox News, January 25, 2010. ↑ Rush Limbaugh. Obama Lies About Global Warming, RushLimbaugh.com, February 19, 2010. ↑ Jonathan Leake. World may not be warming, say scientists, The Sunday Times, February 14, 2010. ↑ Jonathan Petre. Climategate U-turn as scientist at centre of row admits: There has been no global warming since 1995, Daily Mail, February 14, 2010. ↑ MAIL ON SUNDAY COMMENT: The professor’s amazing climate change retreat, dailymail.co.uk, February 13, 2010. ↑ Steve Gilbert. A Few Summaries Of Some ‘CRU Emails’, Sweetness & Light, November 22, 2009. ↑ Steve McIntyre. IPCC and the “Trick”, climateaudit.org, December 10, 2009. ↑ 59.0 59.1 Counting CRU “tricks”, WUWT, December 10, 2009. ↑ 60.0 60.1 Glenn Beck Cites NewsBusters to Bash TV's ClimateGate Boycott, NewsBusters, November 24, 2009. ↑ Climategate: CRU looks to “big oil” for support, WUWT, December 04, 2009. ↑ Rush Limbaugh. It's Not a Consensus, It's a Cabal, RushLimbaugh.com, November 30, 2009. ↑ Search - Wikipedia, climate-gate.org, Climategate Document Database. ↑ Wikibullies at work. The National Post exposes Wikipedia climate information, WUWT, December 19, 2009. ↑ Lawrence Solomon. Lawrence Solomon: Wikipedia’s climate doctor, National Post, December 19, 2009. ↑ Wendell Goler. Obama Ignores 'Climate-Gate' in Revising Copenhagen Plans, FOXNews.com, December 5, 2009. ↑ Roger L. Simon. Climategate: Why Obama switched his Copenhagen itinerary, Pajamas Media, December 06, 2009. ↑ Sensenbrenner to Tell Copenhagen: No Climate Laws Until 'Scientific Fascism' Ends, FOXNews.com, December 09, 2009. ↑ Dr. Tim Ball, Judi McLeod. Obama’s Science Czar John Holdren involved in unwinding “Climategate” scandal, Canada Free Press, November 24, 2009. ↑ Michelle Malkin. Science czar John Holdren and ClimateGate: Perfect together, Michelle Malkin, November 24, 2009. ↑ White House Science Officials Defend Climate Change Data Amid E-Mail Scandal, Fox News, December 02, 2009. ↑ Jim O'Neill. Attention Lawyers! Make Millions Off Of Climategate Crooks!, Canada Free Press, November 30, 2009 . ↑ Christopher Monckton. Viscount Monckton on Climategate: ‘They Are Criminals’ (PJM Exclusive), Pajamas Media, November 23, 2009. ↑ Seth Borenstein. Obama science advisers grilled over hacked e-mails, The Seattle Times, December 3, 2009. ↑ Sen. Boxer Attempts to Turn Climategate Into ‘Email-Theft-Gate’ as Warmist Scandal Grows, The PoliJAM Times Blog, December 2, 2009. ↑ Lisa Lerer. Saudi Arabia calls for 'climategate' investigation, Politico, December 07, 2009. ↑ Emma Rodgers. Senior Liberals Desert Turnbull, ABC News, November 26, 2009. ↑ India to Pull Back From IPCC, Create Independent Climate Panel, FOXNews.com, February 04, 2010. ↑ 79.0 79.1 Rush Limbaugh. Hoax: Climate Change Makes Polar Bears Turn to Cannibalism, RushLimbaugh.com, December 8, 2009. ↑ 80.0 80.1 BBC weatherman ‘ignored’ leaked climate row emails, dailymail.co.uk, November 28, 2009. ↑ Rush Limbaugh. ChiComs Order Journalists to Undergo Marxist Theory Training (American Media Already Trained), RushLimbaugh.com, March 11, 2010. ↑ Jim Hoft. Junk Science Bombshell: NASA & Media Knew About Bogus Climate Data 3 Years Ago, Gateway Pundit, March 11, 2010. ↑ John Lott. Why You Should Be Hot and Bothered About 'Climate-gate', FOXNews.com, November 24, 2009. ↑ P.J. Gladnick. Climategate: MSM Writers Try to Ignore Scandal in Global Warming Stories But Readers Bring Them Back to Reality, NewsBusters, November 24, 2009. ↑ Jonathan Liew. Starving polar bears turn to cannibalism, Telegraph.co.uk, December 08, 2009. ↑ Diane Macedo. Comedy Central Scoops Network News on Climate-Gate Scandal, Fox News, December 02, 2009. ↑ Those "hacked" released CRU files, JunkScience.com, December 03, 2009. ↑ Kimberly Dozier. "Climate Gate" Casts Cloud on Change Meet, CBS News, December 5, 2009. ↑ Declan McCullagh. Fallout Over "ClimateGate" Data Leak Grows, CBS News, December 2, 2009. ↑ CBS finally reports on Climategate: Dr. Trenberth interviewed, WUWT, December 06, 2009. ↑ Anthony Watts. “Climategate” surpasses “Global Warming” on Google, Watts Up With That?, November 28, 2009. ↑ James Delingpole. Climategate: Googlegate?, Telegraph Blogs, November 29th, 2009. ↑ Google blocking 'climategate' autosuggestion, examiner.com, November 29, 2009. ↑ Danny Sullivan. Of Climategate, Googlegate & When Stories Get Too Long, search engine land, December 01, 2009. ↑ Noel Sheppard. Al Gore Advised Google About 'Search Quality', NewsBusters, October 15, 2009. ↑ Google trends on “climategate” show public interest increasing – but troubling questions loom, Watts Up With That?, December 02, 2009. ↑ James Delingpole. Tidalgate: Climate Alarmists Caught Faking Sea Level Rise, Breitbart, December 6, 2017. ↑ 101.0 101.1 Parker, A. & Ollier, C.D. Earth Syst Environ (2017) 1: 18. Is the Sea Level Stable at Aden, Yemen?, Earth Systems and Environment (Journal no. 41748), December, 2017 (first online: November 6, 2017). ↑ Kenneth Richard. Adjusters Are Manufacturing Sea Level Rise Where None Exists, ‘’NoTricksZone’, December 4, 2017. This page was last modified on 9 April 2019, at 01:42. This page has been accessed 162,713 times.